I have always loved Forest Essentials products because they are genuine, high in quality and are made out of natural ingredients. 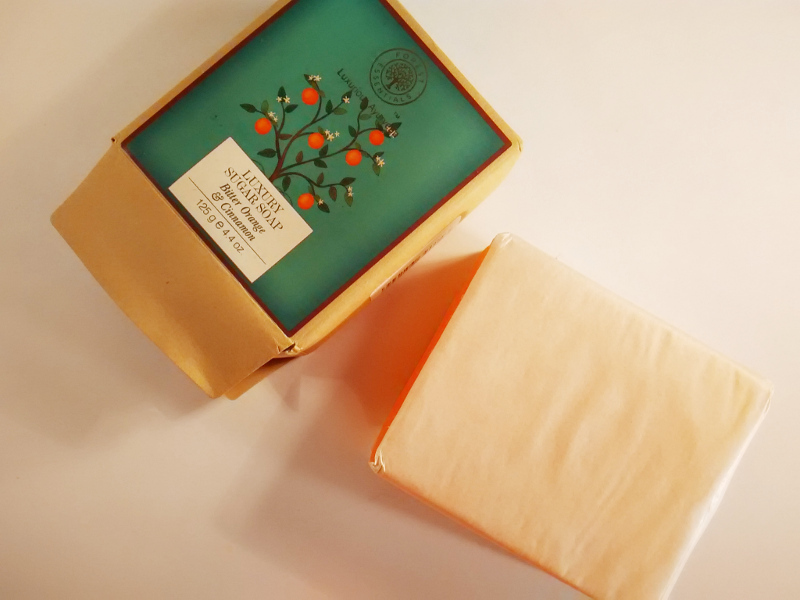 Added to this my obsession with orange fragrance and my new found love for handmade soaps. All this combined together, and here I am with Forest Essentials Sugar Soap in Bitter Orange & Cinammon flavour. 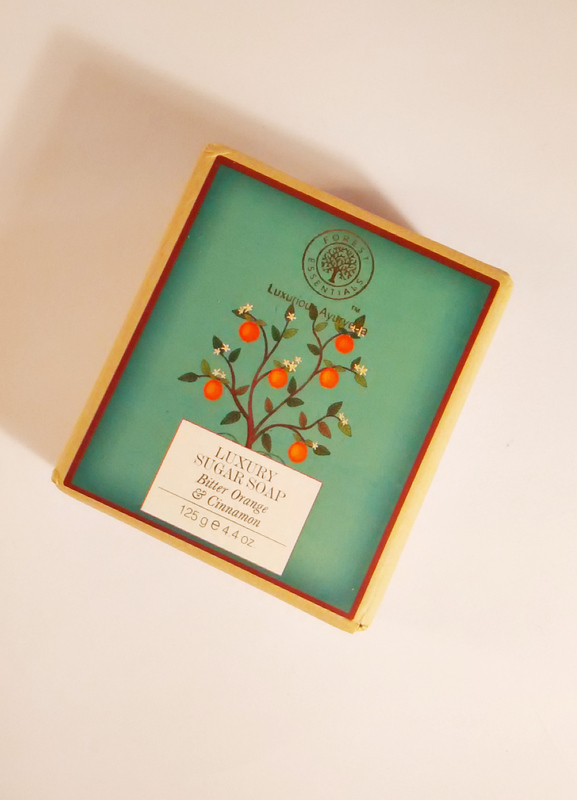 I’m so glad I bought this soap, it is one of the most enjoyable soaps to use and really feels luxurious. And here is what makes this soap so good and one of my best. Forest Essentials sugar soap in Bitter Orange & Cinnamon comes as a clear soap covered in white butter paper and packaged in brown paper printed in the front. These soaps are made by hand using the old fashioned cold process. 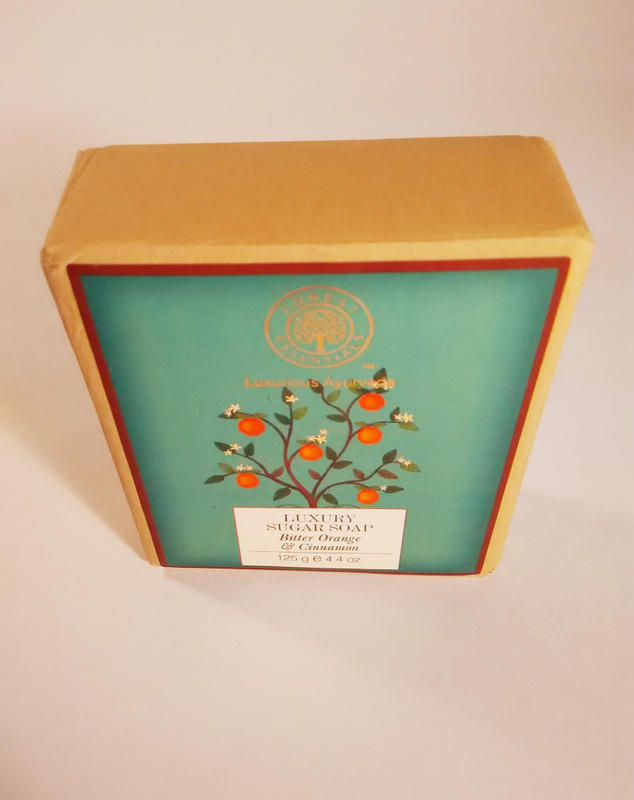 Forest Essentials sugar soaps are made with pure unprocesses Raw Cane Sugar which is a natural humectant (a substance, especially a skin lotion or a food additive, used to reduce the loss of moisture) and helps to retain moisture in the skin. 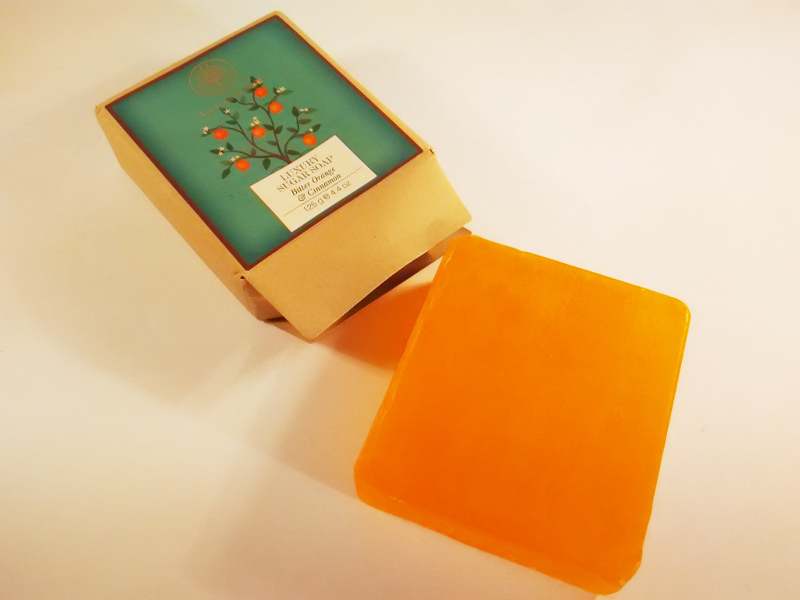 I’m a big sucker for orange fragrance and in this soap the fresh, tangy fragrance of bitter orange is integrated with the warm aromatic cinnamon which makes it smell warm and pleasant. I absoloutely love how natural and pure this soap feels on my skin. I definitely like the brown paper packaging. Gives the soap a natural and organic feel. 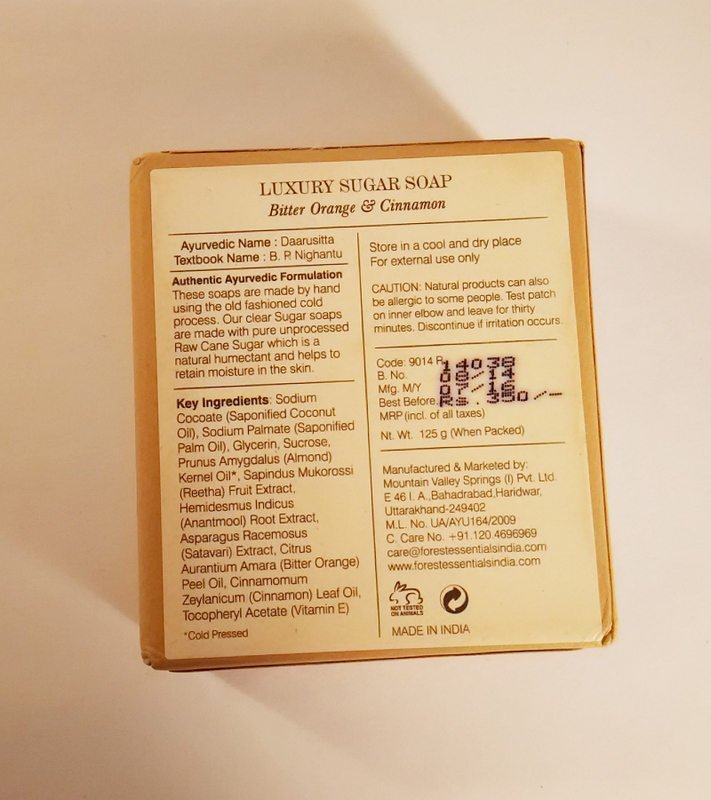 The lather is rich yet light and the soap is extremely gentle. It thoroughly cleanses my skin and is easily rinsed away, leaving my skin moisturized. Priced at INR 350/- for a bar, I do feel its kind of steep.